Do I Have to Set Up Annuity Withdrawals Since My Account Is Entirely in an IRA? You pay income tax on IRA annuity withdrawals. 1. What Is the Difference Between an Annuity and an IRA? 2. Is it Best to Receive Regular Withdrawals From Your IRA? 3. Can I Withdraw From My IRA Annuity Plan If I'm 85? An annuity is a tax advantaged life insurance contract through which you can create an income stream. Depending on your contract, you can begin making withdrawals immediately or at some point in the future. On some types of annuities, you can delay making withdrawals indefinitely. In contrast, you eventually have to set up withdrawals if your annuity holds IRA money. You invest pre-tax earnings in an IRA and your investment grows on a tax-deferred basis. You can use IRA funds to buy almost any kind of investment including an annuity. Under federal tax laws, you must begin making annual withdrawals from your IRAs once you reach the age of 70 1/2. The size of the withdrawals depends on your life expectancy and the balance of your IRA accounts. You have to pay a tax penalty amounting to 50 percent of the required minimum distribution if you do not make the necessary withdrawals. Life insurance contracts such as annuities are afforded the same tax treatment as IRAs and other kinds of retirement accounts. Annuities grow on a tax deferred basis and as with IRAs, withdrawals prior to the age of 59 1/2 are subject to a 10 percent tax penalty. However, while an IRA only contains pre-tax funds or tax-qualified funds, you can buy an annuity with pre-tax or already taxed money. An annuity bought with after-tax funds is referred to as a non-qualified annuity and is not subject to RMD rules because you paid tax on the cash invested prior to buying the annuity. RMD rules only apply to IRAs and accounts holding cash that has never been exposed to taxation. You can buy a tax-deferred IRA annuity either with a lump sum such as a 401(k) rollover, or with a series of periodic IRA contributions. A deferred annuity contract begins with an initial term during which your premiums are invested in securities. This stage of the contract may last for between four and 20 years. At the end of your term, your contract converts your holdings into an income stream. Withdrawals during the initial phase of the contract are usually subject to penalties that can amount to 7 or 8 percent of the contract value. Therefore, you may find yourself caught between paying annuity penalties for making a withdrawal or IRS penalties for failing to take your RMD. Some, though not all, deferred annuity contracts are RMD friendly. This means you can make required withdrawals from your contract without having to pay the premature withdrawal penalties. Alternatively, you can keep your IRA annuity intact if you have ample funds in other non-annuity IRAs. 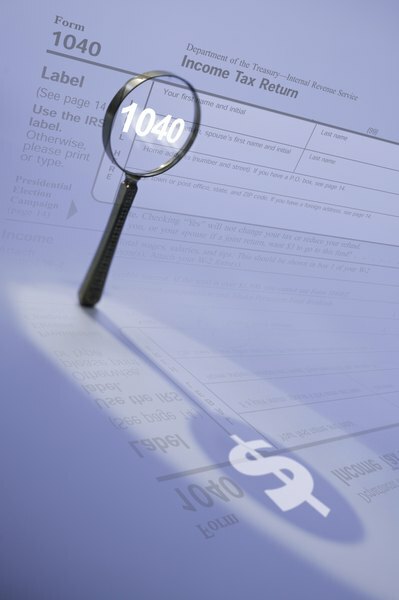 Under federal tax rules, your RMD is based on the total value of your IRAs. You can make your withdrawal from just one IRA as long as you have enough cash in that account to satisfy your total RMD requirement. How Do Annuities Get Taxed in an IRA? Can I Contribute to My IRA Annuity If I Already Contribute to a Simple IRA?